Y'all, class is in session! I have come up with 20 ways to raise awareness for this May - which many of you know is (or may not know, which is totally ok) Celiac Awareness Month. 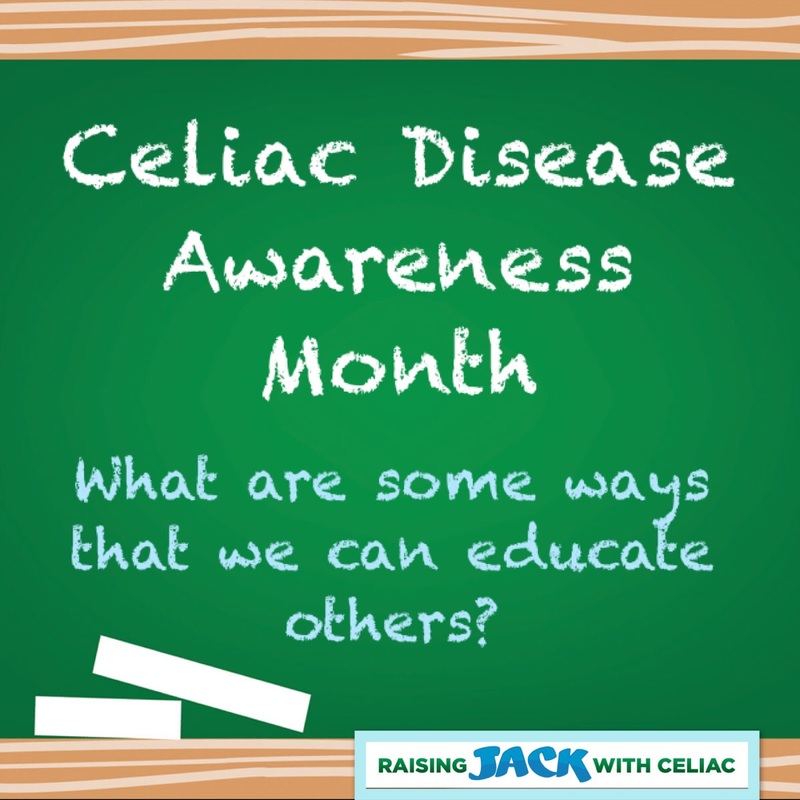 Raising awareness for celiac disease is MUST. Not just during May, BUT any time an opportunity comes our way. Since starting this journey almost 9 years ago, I can honestly say that more people know about celiac disease. BUT, then I'll turn around and mention "celiac disease" to someone and they will look at me confused, like, "What is that?" Until we find a CURE for CELIAC DISEASE, we got a job to do. So, LET'S GO! 1 - When ordering food at a restaurant, ask for the manager or tell the server that you have celiac disease. Don't just say, "without the bun" or "I have a wheat allergy"....educate these folks even if they just say, "uh-huh". You also know enough about gluten-free living, that you could create a little note card with how to handle your gluten-free meal: WHAT TO AVOID (for example: DO NOT share same deep fryer as GLUTEN foods, wash kitchen utensils, check ingredients for "WHEAT", etc. 2 - To help better serve those with celiac disease while at school, college and/or camps, this website and material is AWESOME. Check out NFCA's GREAT Gluten-Free Kitchens training. 4 - Pass out green apples to teachers with a note about celiac disease. 5 - Make awareness bracelets and give them to your friends and family. 7 - Get a blood test, whether you've done it before or not - get another. Encourage family and friends to do so as well. If a family member tested NEGATIVE 5 years ago, I would encourage to test every 2-3 years whether there are visible symptoms are not. My husband tested negative when Jack was was diagnosed in 2009. Then after moving to TN and taking on a very, very stressful job, his immunity changed. He tested positive for celiac disease. It's crazy how it all came about - I share my husband's story here. 8 - Car Ribbons/Magnets - these days you can have your own made! Just google "create your own car magnets" or "celiac ribbon car magnets". 9 - Are you concerned about another child, but don't know how to tell his or her mother? Pass along this link - it warns of "Red Flags"- some pediatricians may overlook certain celiac symptoms. 12 - Share celiac disease information with a stranger - "Hi, I don't know you, but here's some info. about Celiac Disease." 14 - Read/Share some of my Sweet Faces of Celiac Disease stories. You'll be surprised by some of the symptoms this children had or DIDN'T HAVE. 15 - Check out these AWESOME Celiac Bloggers. 16 - Share this celiac disease symptoms checklist with your friends and family. 17 - Get friends and family to attend a FREE celiac disease screening. 18 - Check out NFCA's site on "Talking to You Friends" about celiac disease. 19 - Make a donation to the Celiac Disease Foundation - make sure to check out their website as it's full of all types of great information on celiac disease and gluten-free living. 20 - Get a TATTOO! Okay, don't. 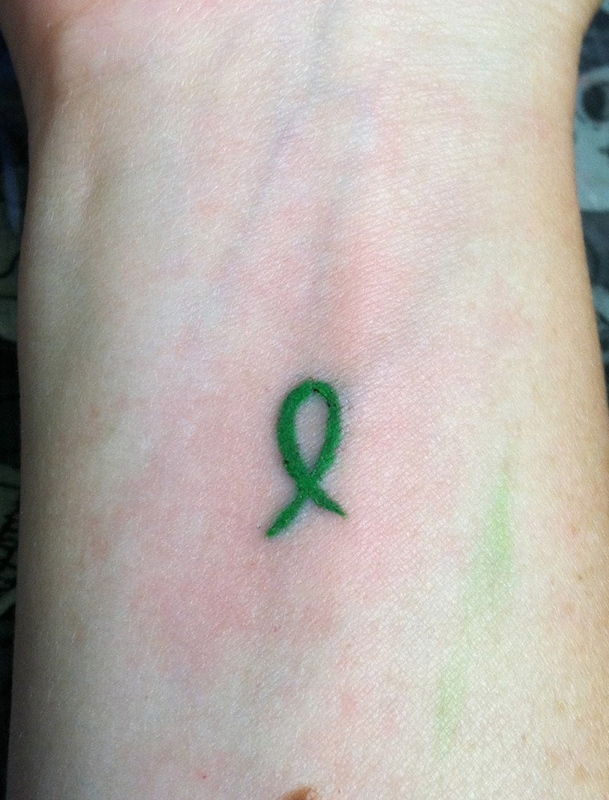 But this was something I REALLY wanted to do to show my passion for raising awareness and if someone asked me about my tattoo, it's an opportunity to educate them about celiac disease. There you go friends. 20 Celiac Awareness ideas.